We all look at hundreds of items to buy on our mobile devices and can name plenty of brands that are carrying out mobile marketing strategies, but the latest statistics show that we resort to other devices when it comes to an on-line purchase’s final step — all despite the fact that smartphones are the most widely used devices for getting connected to the Internet. And what’s more, we even use tablets more often than mobile phones for on-line shopping. Laptop and desktop computers remain the kings of the hill of on-line shopping. However, what really takes us all by surprise is that over half of on-line sales originate initially from mobile devices. How can it be? It’s very simple: users have a look at the products on their mobile devices, compare them, look at their prices and then, once they have decided that they are going to buy them, go onto their computers to fulfil the purchases. Many users try to carry out payments using their smartphones. However, the truth is that on-line payment platforms don’t adjust properly to mobile terminals, so users desist after having tried a number of times and go on to their computers to fulfil the purchase. The reason behind this is that payment methods are not usually integrated into responsive websites, which forces users to navigate from section to section again and again until they get tired and leave the purchase stalled. On the other hand, the whole process is much more comfortable, simple and familiar to us on a computer. In addition, there’s this widely-spread belief that payments made through mobile phones are less secure than those done through computers. However, there’s a clear opportunity to do business and accomplish sales in mobile devices. So, are there any mobile marketing strategies to increase sales in on-line businesses? Statistics show that a customer who has already bought something in your on-line store is much more likely to do so again. This is not usually the case with new customers who still don’t know that your store exists. For this very same reason, you should remind your customers that your store is still in business by offering them new products, notifying them about special prices they may enjoy for certain items and even offering them interesting discounts. SMS, WhatsApp, and Telegram are good means to do this, provided that you have their phone numbers. You can even use pop-up notifications on their mobile devices, as long as you have developed a mobile application through which your customers may carry out their shopping. Who doesn’t have Facebook or Twitter installed on their smartphone nowadays? Over 95% of smartphone users have installed a social network on their device. We have to take advantage of the possibility of publishing brand-related contents in social networks like Facebook, Twitter or Instagram. However, investing in mobile ads in these social networks can also be very interesting to reach out to a greater number of new potential customers through mobile devices. This system is good to keep in touch with users who have already purchased products or services at some point or who are interested in your brand. The latter intend to purchase products or services in your store, so you must treat them well. E-mails with news, discounts and exclusive products act as one of the most important showcases for any kind of business. E-mails are nowadays read from mobile devices. This makes us think that newsletters are still alive and kicking. We’ll have to think a lot about their design to make a proper newsletter that’s adapted to mobile devices. The newsletter must incorporate little text — an appealing text encouraging sales — and include images. Its design must also be able to adjust to the different kinds of screens. The features offered by mobile devices and tablets open a wide range of possibilities that generate plenty of business opportunities. Users can interact with your brand and you can carry out branding campaigns and even discover new business lines. Camera: The current selfie and picture madness has made cameras become an element of ever-growing importance in mobile phones. So why not adding this to your strategy? Photo competitions, sharing pictures of the products purchased on the store… All this will contribute to making potential customers regard your store as fun and accessible. Geolocation: Using GPS in mobile phones is very common to find out where whatever we are looking for is located. That’s why it’s important — whenever possible — to let the user know where is the closest physical store to his position. Not everyone is into on-line shopping, you know. Gamification: You may not be familiar yet with this term. It basically consists in entertaining your customers while they get to know your products better. MSI Spain’s twitter is an example of this. They occasionally make publications on their account in which we may play several games along the brand’s pet. This makes the users’ confidence in the brand grow and also makes them consider buying the brand’s products through their website. The truth is that there is nothing written in stone about what we may or may not use in terms of mobile features, so the limit will be our own imagination. Why not create an m-commerce store? And finally, the last thing you need to culminate your users’ experience is creating an application where they can buy your store’s products, paying for them through the application itself. 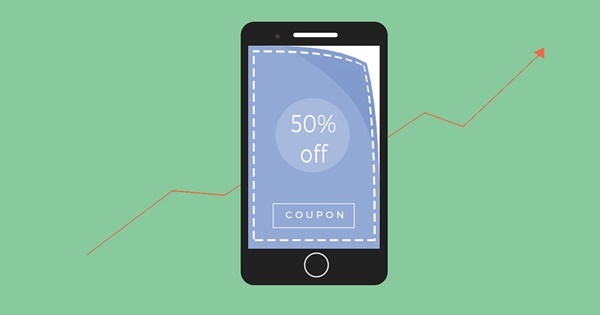 An m-commerce store is a mobile native version of your e-commerce store, transforming your website to an e-commerce app that allows purchases to be made within it. The downside of m-commerce stores is their price. In most cases, this makes them a recommended option only for large companies with a high volume of customers.